Good communication raises awareness of energy management and motivates employees to get on board to do their part! It also provides positive news to your company’s stakeholders and can attract senior executive support. Most of us are not trained communicators. But with a little effort, you can create an effective communication strategy. Begin by outlining an annual energy program communication plan. The steps are easy. TIP: Use your energy team to help carry the load. Make sure you include a member of your corporate communications or marketing department on the team. Your plan must have an objective if it’s going to be successful. For example, do you want to raise awareness about a specific energy program initiative or accomplishment? Or are you trying to influence a specific behavioral change, such as turning off equipment? ENERGY STAR offers a worksheet that will help you define your goals. Determine who you need to reach. Are you targeting internal audiences such as employees or management? Or are you targeting external and public groups, such as customers, shareholders, or the media? For examples of what other companies have done, follow the links below. List the key messages you need to communicate and tailor them to your target audience. If you’re not sure how to best communicate to a specific audience, work with your company’s communication staff. See the links below for examples of how to tailor a message. To communicate effectively, determine the best way to deliver your message. Ask your HR and communications departments what they find to be the most effective methods for communicating to different audiences. With external communications, your organization may also have specific requirements and procedures that you must follow. 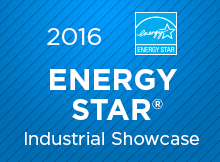 ENERGY STAR offers many materials that you can use. Determine how often you will need to communicate, what resources are needed, and who will be responsible. Lastly, consider how you will measure the impact of your communication efforts.